Skin cleansing is the base of all care. Face and body are cleaned from sweat, sebum and dirt, thus cleaning must be thorough but also mild and gentle. Especially in case of skin problems like neurodermatitis, psoriasis and acne, daily cleaning is very important for the therapy. Cleaning products must be adapted to the skin's problems avoiding that they become even more severe. 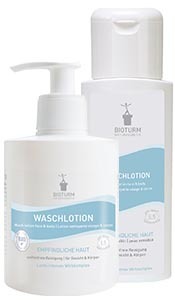 Pure water is not sufficient to clean the skin properly - wash active substances are needed. However, if cleansing products are too aggressive, they destroy the protective acid mantle which protects the skin by its acid pH value. Each cleansing attacks the skin's protective layer; that's why especially in case of dry skin, the cleansing product should contain a high content of re-fattening substances. Apart from the wash active substances, regenerating oils are important when cleaning dry skin because they nourish the skin with lipids. 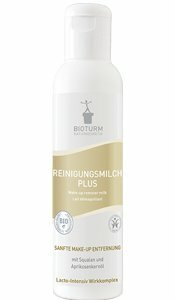 BIOTURM cleansing products are perfectly adapted to the requirements of problematic skin. On the one hand they are capable to clean the face thoroughly but on the other hand they are very gentle to the skin. 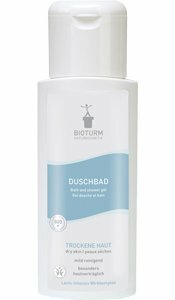 The lacto-intensive active complex, which is contained in several of our cleansing products, nourishes the skin with important active ingredients already when cleaning it - the skin is perfectly prepared for further care. Its ingredients normalise the protective acid mantle and the skin's flora providing natural lactic acids, amino acids and trace elements. After cleaning, the skin is perfectly prepared for special care, no matter if the skin is dry, greasy or problematic (neurodermatitis, psoriasis, acne, …). To find the right product adapted to your skin type or skin problem, we recommend to read our skincare advices giving you further information about your skin and products matching your skin type. 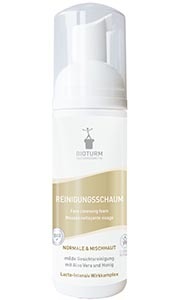 For easy but gentle removal of make-up and care of facial skin at the same time. 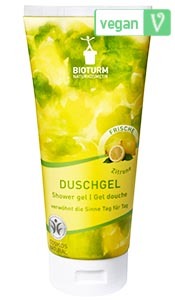 Stimulates and refreshes facial skin. With hyaluronan and aloe vera. Mild cleaning for sensitive skin and therapy-related care in case of neurodermatitis and psoriasis. Mild cleaning for hands with mild cleaning agents on vegetable sugar basis. Mild and soap free cleaning for face and body. The pH-neutral of 5,5 preserves the skin's natural acid mantle. 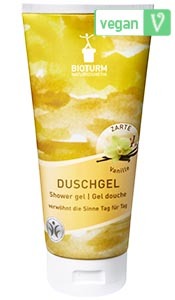 The mild bath and shower gel for daily use in case of dry and sensitive skin. 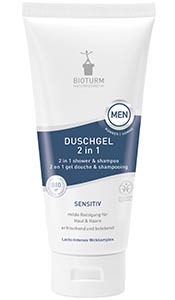 Mild cleaning as 2-in1 product for the whole family! 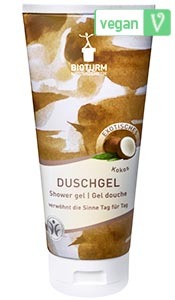 Surrounds your body with a hint of vanilla. 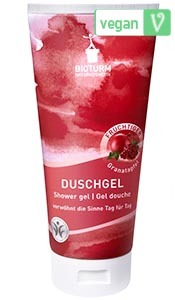 Mild cleaning with a fruity fresh fragrance of pomegranate. 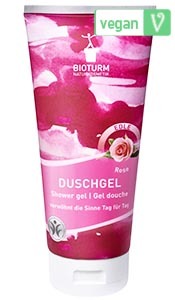 The fragrance of noble rose feels like taking a shower in the garden. 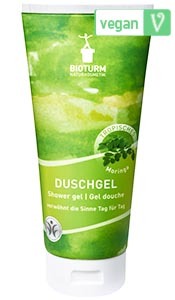 Velvety soft skin feeling with a tropical fresh fragrance of moringa. For an exotic start into the day. 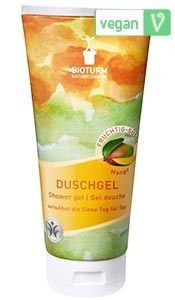 Mild skin care with a tropical fruity fragrance of mango. Mild cleaning with the fresh scent of lemon. 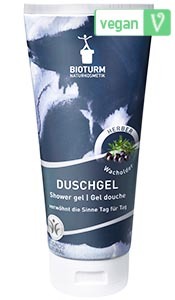 Covers your body with a herbal scent of juniper berry.